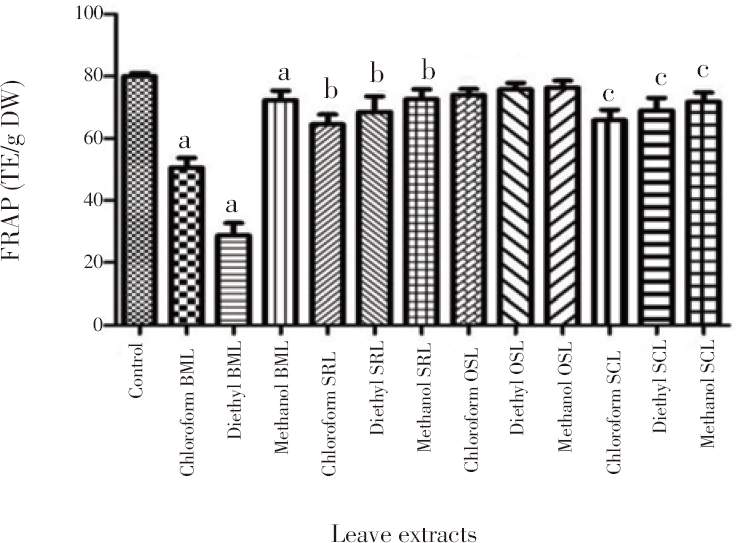 Figure 2: Activity of ferrous ion chelation by four plant extracts in various solvents. BML-B. monosperma leaves, SRL-S. rebaudiana leaves, OSL-O. sanctum leaves, SCL-S. chirayita leaves. Data were expressed as mean±SD. asuperscript in each value showed the significant difference (P<0.001), bsuperscript in each value showed the significant difference (P<0.01), csuperscript in each value showed the significant difference (P<0.05).